Sean Ludford is a regular contributor to TaylorEason.com. He is a veteran spirits educator and publishes at BevX.com. Check out Sean’s bio here. 1. What is Scotch? First know that Scotch is purely Scottish. It is not a style of whisky rather simply a whisky that is made in the nation of Scotland. It also has to be aged in oak barrels for at least three years to legally be called Scotch Whisky – more on barrel aging later. 2. Varieties of Scotch Whisky. Scotch Whisky is typically divided into four categories: single malt, grain, blended, and blended malt (sometimes called “pure malt” or by its former moniker, “vatted malt”). Blended whisky is by far the largest category by volume and sales. Blended whiskies are a blend of grain whiskies and malt whisky. Brands such as Johnnie Walker, Dewars, and Chivas are popular blends. Blended malts are a blend of two or more single malts. 3. What does Single Malt mean? Single refers to a single distillery. Malt is the sole grain material used to produce the whisky. So a single malt is a whisky made at one distillery and made with 100% malted barley. Simple. 4. Scotch Whisky Regions. For centuries the Scottish whisky industry has sub-divided the nation for tax purposes. Over time, vague regional styles emerged and remain to some degree today. While the decisions made by the individual distiller have more impact on the subsequent whisky than does the distillery address, it is useful to familiarize yourself with Scotch Whisky’s regional styles: Lowland whiskies are the most delicate and lightest in body. They do differ from other Scottish malts, as they are triple-distilled as opposed to double-distilled, as are all other Scotch malts. Island malts, most notably Islay, are noted for their assertive notes of peat and notes of the sea. While these would logically be the toughest malts to get cozy with, they are presently wildly popular. The Highland region encompasses the largest number of distilleries. It is commonly further sub-divided with the Speyside region being the most famous zone. 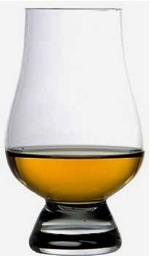 Speyside malts are rich with malted barely flavors and noted for being slightly sweet and fruity. Campbeltown, a dangling peninsula on the western coast was once a thriving distilling center but now it is home to just three distilleries. 5. Where’s the “E”? Scotch Whisky has traditionally been spelled without an E while Irish Whiskey uses an E. No special reason for the difference although some Irish producers have suggested (in jest) that the Scots are too thrifty to spring for the additional vowel. 6. Age statements, what do they mean? Most Single Malts bare an age statement boldly printed on the label. If the label says 12 years old (or any other age) it means that 100% of the whisky in that bottle has aged in an oak barrel for at least 12 years and not one day less. 7. Does Scotch Whisky age in the bottle like wine? No. Whisky is aged in oak barrels. Once it makes it into a bottle, the aging stops and the spirits flavor and aroma profile is captured. 8. What kinds of barrels are used to mature Scotch Whisky? Barrel aging is absolutely essential to whisky. Whisky, like all spirits is clear and colorless when it comes off of the still. All of the natural color observed in whisky comes from the barrel – as does many of its aromas and flavors. The majority of barrels used for aging Scotch Whisky were originally used to age bourbon in the USA. Scotch Whisky is (almost) always aged in used barrels while bourbon is required to be aged in new oak barrels. It’s a great symbiotic relationship that exists between bourbon and Scotch Whisky producers. Other types of barrels are used as well with ex-Sherry being the second most common barrel type. There are no rules regarding the former use of an oak barrel. Read more about whisky barrels. 9. Finished in “Port Wood”. What does this mean? In the past few decades, the practice of special wood “finishing” has become popular. This is a creative way for a distiller to add an additional flavor component to their whisky. A year or two in barrels that have freshly housed Port, Madeira, rum, Sherry, or any wine or spirit adds a bright and distinctive flavor and aroma component. This is far from a marketing gimmick as it is an additional tool utilized by the distiller to make tasty and unique whiskies for us to enjoy. Thanks for the history and info, you must be a fan of whiskey :)! I’m a scotch drinker. I love the single malts and enjoy the peat in some of them. While I like singles the best I’m a tight wade at heart so I have my “special” scotches for special occasions and then I have cheap bar scotch for everyday drinking. I have become interested in the oak barrels and was wondering if it is possible to “upgrade” cheap scotches by an additional aging and possibly even throwing in a single malt to direct the outcome. Is this a realistic idea or a pipe dream? If it is realistic would you have any suggestions on how to proceed forward? Thank you so much for your webpage and time to address my question. I’ll jump in for Taylor on this one. There are quite a few whisky (and maybe a few whiskey) makers who are experimenting with finishing their spirits in barrels once used for port, sauterne, Pedro Ximenez, sherry, etc… Glenmorangie is my personal favorite, but you do get some flavors that are not quite classic whisky. The upside is that they do give you some interesting variety. The downside is that they are not usually budget-friendly. To address the oak barrel question, (in my limited experience) if you had a new oak barrel and filled it with brown spirit, the barrel flavors would become very powerful very quickly. That’s basically turning whisky into bourbon. Bourbon usually uses new oak barrel because they impart the flavors a lot faster. The Irish and the Scots usually use used bourbon barrels, which take a lot more time to impart flavor because the barrels are in their second use. It would seem to me that putting cheap whisky into a new barrel would just make it taste like bourbon, in which case you’ve wasted seven years in the barrel when you could have just bought bourbon to start (and it’s usually cheaper here in the states, anyway). However, if you happen to have 55 gallons of whisky sitting about and a used whisky barrel, you could re-start the aging process. But, and this is noteworthy but, you will only be adding more oak flavors (same with a new barrel, as well). Part of the budget-friendly whiskies price savings is that the manufacturer is using less expensive malt, not tending to the slow peat-smoking process as some might like, and generally saving what they can by using bottom-shelf ingredients. If you really want a finely crafted whisky, you need some quality ingredients and quality processing – not just more time in a barrel. Now blending in something nice with something inferior and then barreling it for a few years might make for some intriguing results, though it seems to me that’s just the very long and expensive way creating a blended whisky. Don’t knock the blended brands, especially for an everyday drinker. And try a few bourbons, too. You can grab a nice American whiskey for the same price as a mediocre single malt. Check out Eagle Rare from Buffalo Trace. It’s not particularly smoky-peaty, but it’s a nice sipping whiskey and quite price-friendly so you can save the single malts for those special occasions. IS IT A LAW THAT WHISKEY HAS TO BEin OAK BARRELS? Yes – the casks must be made of oak. Irish Whiskey law does not limit the wood type (although oak is the preferred choice) but Scotch Whisky does require oak. The casks may be no larger than 700 liters but there is no requirement for a minimum size. When using different whiskys from diferent distilleries in blended whiskys, does the maker of the whisky usually own all the distilleries or do owners of distilleries trade back and forth to create more diverse tastes? Do the barrels in all whiskeys have to be charred? I agree with Sean Ludford,But I recently use black scotch whiskey in Manchester but i notice the quantity of alcohol are high as compare to other whiskey ,This was a effective for a body function ,my suggestion is you must include a water in a whiskey scotch before use it .otherwise it is dangerous for your brain nerves and also check the expiry date of black whiskey in Manchester .you must also concern this matter with the person who manufacture whiskey scotch and remember the instructions given to you by a valuable person .